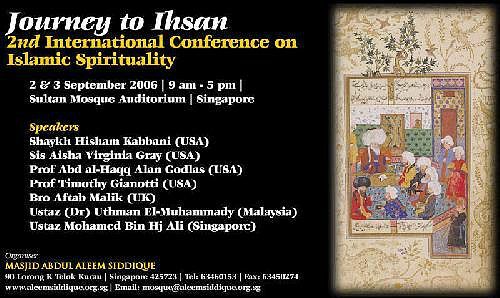 Masjid Abdul Aleem Siddique (Singapore) is promoting the International Islamic Conference in Singapore. Please feel free to visit the website www.aleemsiddique.org.sg for more details. Online registration for the conference is also available. International participants are also welcomed and special accommodation packages are available. Please email Br. Nassir: nassir@aleemsiddique.org.sg or Br. Sharfudin: hdean07@gmail.com for more details. Meanwhile the mosque is seeking sponsors for this event. Should anyone like to contribute to this good cause, please contact the mosque or contact persons as listed in the website.